You can tell people all about your spot in this description section. Up top you can display your header photo, address, and phone number. 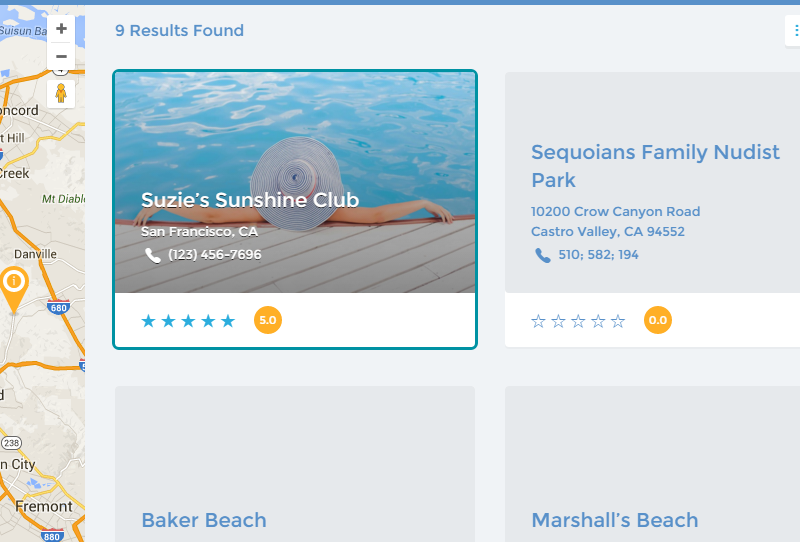 Your listing will be geolocated, so NudeSpots visitors will able to use the map to find you more easily. On the right side, people interested in visiting your spot can send emails to the email address of your choice. Below that you’ll see the photo gallery where you can upload unlimited photos. Feel free to include videos in your profile. Below you can receive and respond to comments from people who have visited your spot. When you make your profile you will also be able to distinguish it by selecting specific categories and a world region. When you upgrade to a Spotlight Profile you will rank higher in the search results and your profile will be highlighted wherever it appears. Thanks for stopping by NudeSpots, Austin!